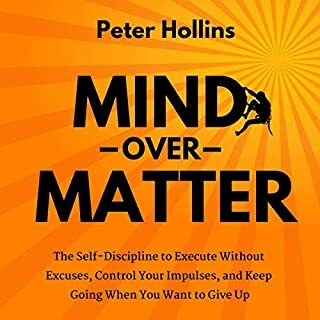 Mind over Matter is not a textbook on self-discipline, nor is it a gentle and drawn-out discussion. It is a toolbox to keep you in motion and in action towards your goals. It pulls no punches as it provides direct techniques to ensure that your actions match your intentions - a difficult task. Speak Up. Set Boundaries. Say No. Take Back Control. Get What You Want. The Art of Everyday Assertiveness is a guide for the chronically “nice”, “overwhelmed”, and “accommodating”. 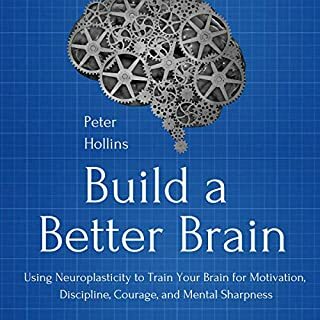 It is a deep psychological dive into the beliefs that makes us lack assertiveness and describes how to systematically combat and replace compulsions with healthy mindsets. This is an audiobook that stands apart from others because of the plethora of real-life examples and solutions. There is a reason: Our first, instinctual thoughts and actions are usually irrational and self-sabotaging. Discipline Your Thoughts will tell you why and also how can you correct it. We make thinking errors on a day-to-day basis. They come naturally, thus we don’t think that we think in a distorted way. However, they can have a severe negative effect on our lives. Knowing what they are and how to identify them, we can help ourselves making better choices. In what area of life? All of them: personal relationships, business choices, spending habits, health-related engagements. Our mind doesn’t work the way we think it does. 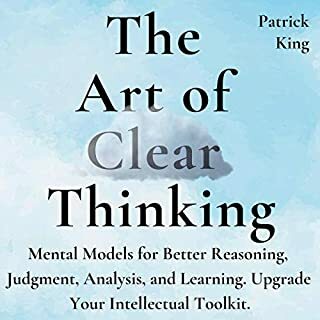 This audiobook presents the scientific background of thinking errors related to behavior, social relations, and memory through the most famous psychology experiments, behavioral economics research, neuropsychology, and the author’s own observations. What remains is an entertaining but practical and informative guide to discipline your thoughts. 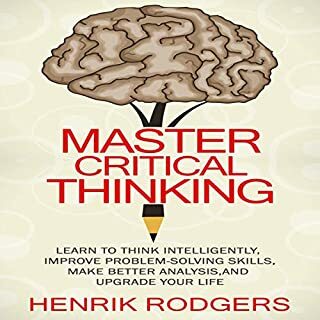 This audiobook aims to help you think about your thinking and find better solutions to your problems. Why are first impressions so powerful and permanent? Why do we rely on the first thought that pops into our mind? How can certain advertisements make us open our wallet immediately? How and why does our memory fool us on a daily basis? Again and again, we think we experience and understand the world as it is, but our thoughts are beset by everyday illusions. 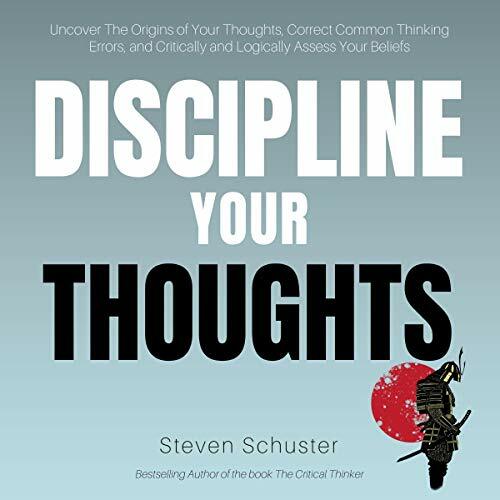 Discipline Your Thoughts reveals the many ways our intuition can deceive us, why we succumb to these everyday brain tricks, and what we can do to inoculate ourselves against their effects. Simple, clear, and always surprising, this indispensable book will transform your decision making. Correct the errors in your thinking habits and resist falling into your mental ambushes. Less biased thinking will lead to smart decision-making, which leads to better relationships, financial decisions, and health-related choices. Make fewer mistakes in your thinking - prevention is easier than correction. Improve your beliefs, social biases, and memory mix-ups by understanding how your brain works. This audiobook helped me to understand why I make certain choices and decisions. By understanding what motivates my thoughts and biases I can actually make better decisions. It was very informative. The narrator is a great choice for this audiobook. He conveys lots of complex information and keeps your attention on what is being said. I really enjoyed listing and will apply what I learned to my everyday life. Whether you're new to cognitive biases or you've already read a bunch of books on this topic, this book is worth a read. It's a short and to the point book about various biases everyone has, quick examples of each bias, and actions we can take to avoid said biases. It can work as a solid introduction into the field or a reminder of biases we should be trying to avoid. It wasn't my first book on the topic, but I learned about a couple of new biases I had not heard about before. It's a content-dense book. Even though I usually listen to audiobooks at 3.0x speed, I slowed this one down to 2.0x to get everything out of it. The narration was even and sounded great at the increased listening speed (which doesn't always happen). Obviously at less than three hours the intention is to offer a brief overview. 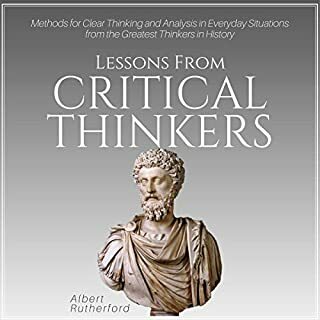 This is an excellent book as an introduction, perhaps for high school students learning how to obtain or strengthen their critical acumen. For this o believe it’d be excellent. I received this book at no cost with the condition that I offer my non-biased review. Listen to the book if you want to know what “non-biased” means. Disclaimer: I study cognitive and social psychology and familiar with the material covered. 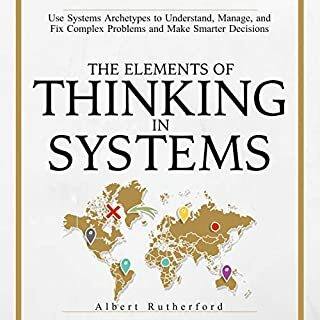 This is a good book for anyone interested in their own behavioural and decision making processes. It's introductory-level easily understood by newbies and a refresher/reminder for those who former Psychology 101 students. The narrator is a solid 4/5. Not memorable but not horrible either. I recommend books by Cialdini, Levitt/Dubner, Thaler, Kahneman and Ariely after this. Steven Schuster is an incredible author. I have been learning such important issues and concepts from his books. The content is awesome and well grounded. His examples are fantastic and easy to understand. I highly recommend this audio book. Especially useful for professionals that work for auditing and assesment areas. The narration is perfect, congrats! And Audible is great in my life!